Best selling authors Nick Cole and Jason Anspach have revitalized literary science fiction with their smash hit Galaxy's Edge series. Amazon have wisely chosen GE as the Kindle Daily Deal, and the authors have wisely decided to capitalize on the momentum by offering each book for only $0.99! Your read that right. 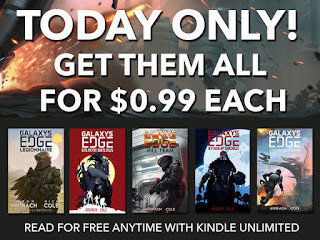 Today only, you can get the entire five-book series for less than five bucks! A hot, stinking, dumpster fire. And most days I don’t know if the legionnaires are putting out the flames, or fanning them into an inferno. A hostile force ambushes Victory Company during a reconnaissance-in-force deep inside enemy territory. Stranded behind enemy lines, a sergeant must lead a band of survivors against merciless insurgents on a deadly alien world somewhere along the galaxy’s edge. With no room for error, the Republic’s elite fighting force must struggle to survive under siege while waiting on a rescue that might never come. When you think you’ve surrounded the Legion... you’ve just made your last mistake. You're officially out of excuses. Get Galaxy's Edge today! Already own GE? Good. You have excellent taste. If you're looking for more action and adventure that trades space marines for space pirates, get my award-winning Soul Cycle today and be ready for the final book's December release! Incredibly fun, Indie authors are where the excitement is. [UPDATE]: I was a little late to the party, but my readers will be glad to know that each book of the Soul Cycle is now on sale for $0.99! 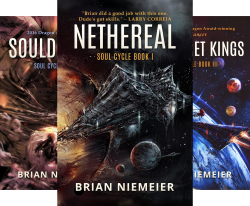 Nethereal, Souldancer, and The Secret Kings go back to their regular price at midnight, so if you were holding out for a sale to complete your Soul Cycle collection before the fourth and final book's release, now is your best chance to get all three prior volumes. 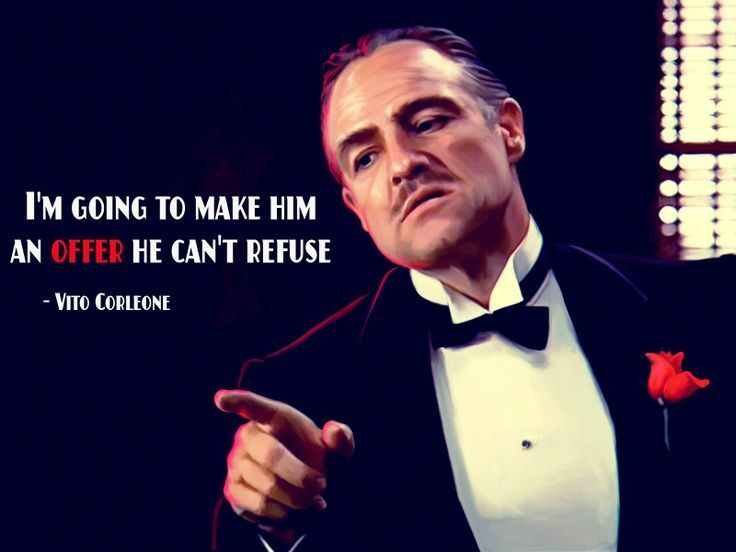 When you post something like this, you have to do it with Vito Corleone tag. This is definitely an offer you can't refuse. Weird. If you don't have all 3 books yet, send me an email and we'll work something out. Now, where's my 4th Niemeier, mister? Proceeding right on schedule--slightly ahead, in fact. 1) What's the optimal number of writings to have before marketing yourself? 2) The optimal number of positive reviews so Amazon (and other epublishers) notice you? 3) How to classify your genres so that your books will be successful? 1) ALWAYS be marketing yourself, even before you've written anything. 2) Wild West authors say 50 overall. Nick and Jason swear by 35 at launch and 100 by the end of the first week. Amazon is the only eBook market that matters. 3) The names "science fiction" and "fantasy" are mud in the eyes of most readers. Go with action, adventure, and where applicable, romance. Find subcategories that aren't too competitive but not too niche and write to those markets. Thanks! Delicate question how do you encourage reviewscwithout soliciting them? Commonsensically it's writing great stories that entertain but how can you encourage readers to review your writings?